If you are interested in hosting me for a school or library visit, I have a hands-on program to offer your students or interested readers. 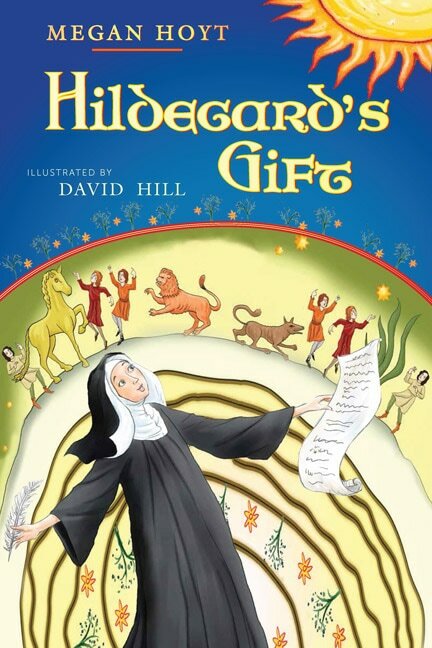 We will listen to Hildegard's original music, smell/taste/touch the herbs she used in her medicines, grind spelt into flour, take a look at some of her art, and read from her volumes. I have a few other surprises in store to enliven the visit for children. Shoot me an email HERE, and I will set up a time to come by. You can contact Brother Richard at Paraclete Press to order books to sell to your students. You may also contact him by phone directly at 1-800-451-5006 x 320.